Bears. They’re so cute and fluffy. Until you see their claws. You could say the same about the aptly named Bukit Beruang in Melaka. Directly translated from Malay to English as Bear Hill, at a mere 116.3 meters tall, it may sound tame but, depending on your route to its peak and back, it’s ferocity can vary. Like Goldilocks you’re presented with three choices: take the 2.5 km tarmaced Jalan TM Bukit Beruang to the telecommunications tower; hike the trail from Taman Bunga Raya; or like the KL Hiking crew, begin your journey from Taman Muzaffar Height on the other side of the hill. You can also mix it up, as each of these trails criss crosses each other – dirt tracks intersecting with the tarmac road and mountain bike tracks splitting off and converging with hiking trails. Both the beginning and end of our route, outside of Surau Al-Wahdah on Jalan MH10, is shared with mountain bikers. In the early morning and evening, this means having to listen out for the sound of tyres on dirt as bikers come careening round the corner or leaping over you as they gain air on one of several ramps they’ve constructed. Fortunately we started late and avoided potential collisions. Our adventure began at the top right hand corner of the map on the 1-One Trail, wound its way to CP2 and CP3, and then along the OMG trail to CP4. I don’t know the distance traversed, but this stretch takes up more than half of the journey time and is the toughest part of the route with multiple obstacles, frequent switch backs, steep ascents (some of which require rope work) and often counterintuitive descents that had us wondering if we had missed a turn. The remainder of the route was easier. After CP4, which skirts past the telecommunications tower, we briefly stopped to take in the near 180 degree view at the Eye On Melaka lookout point – some rock climbing provides an even better vantage spot. After this we headed down to Wonderful Garden where the Wonderful Trail and Wild Boar Trail intersects with the Telekom Trail. This was my favourite section of the lot and the freshly dug earth alongside it – the work of wild boar – is a reminder of how it got its name. At CP0 we reconnected with the 1-One Trail in a section heavily plied by mountain bikers. It was literally all downhill from here. Before too long we found ourselves retracing our footsteps just minutes before we arrived at our starting point, 2 hours and 10 minutes after we set out. After the searing heat of Pantai Klebang, getting under forest cover couldn’t have been more welcomed or have come sooner. A mountain bike ramp at the start of our hike from Surau Al-Wahdah in Taman Muzaffar Height. 10 minutes in we take a right, the trail narrows and the terrain starts to work its way up and down the side of the hill until we get to CP4. Incidentally, the route to the left is one we return on and is shared by mountain bikers. A designated forest reserve, Bukit Beruang is home to a lot of bamboo groves and some very large trees. A detour to the left takes us up along a storm drain and provides us a view over the housing estate below. Before arriving at the top of the storm drain, we veer left at the sign for Check Point 2 back into the jungle and onto the 1-One trail. Between CP2 and CP3 are multiple steep ascents and descents some of which require rope work. Can’t tell if it’s natural or man-made but to our left are uprooted trees, tangled up scrub and what looks to be a signs of a land slide. One of several verges that require the help of some rope. There are plenty of obstacles to surmount. Once at the bottom of this hill, we turn left, A short walk along a flat takes us to CP3. Set in a valley, CP3 is marked by a lack of tall trees, a smattering of undergrowth and a wall of rock. On the other side of where we enter CP3 is the climb back up towards CP4. 45 minutes into the hike we come to a sign that directs us to the Telekom tower. We ignore it and follow KL Hiking’s trail markers down towards the valley floor again, which seems counterintuitive at first…. Less than 10 minutes later we come to CP4 and another chance to head towards Telekom tower. We continue our descent. When you are trying to summit, it is a bitter sweet truth that what goes down must go up. Ugh. This sign marks the closest point on the trail to the Telekom tower and is just a few meters from the tarmac road. If you exit here, the tower gate will be on your left. The entrance to the telecommunications tower. While most hikers set their sight on Telekom’s telecommunication tower, KL Hiking’s target is the cheekily named Eye On Melaka; we come to it about 1 1/2 hours into the hike and is located along the trail just under the tower. A wide open ledge, you can get 10 meters higher by scaling a rocky slope. Don’t worry – it’s not as tough as it looks and you can do it without the aid of the rope, although its presence is reassuring. On a clear day you can see the coastline stretching from Tanjung Kling in the north to Teluk Mas in the south. 5 minutes downhill on foot is a rest area known as Wonderful Garden. Due to the late hour, just after midday, there is no one here except for a lone cyclist whose friends are carving out a new bike trail. We take a left here, rather than a right, which would take us further down the Wonderful Trail. Wonderful Trail merges with Wild Boar Trail at Jalan TM Bukit Beruang. CP0 signals the start of the Wild Boar Trail. Wide at first, Wild Boar Trail quickly narrows but is considerably kinder than the trails before it. Lots of upturned earth and hoof prints indicate the presence of a small wild boar population. A minute after this wooden bridge is a T-junction. Take a right and climb the dirt stairs. Within 5 minutes we are at another rest area. This is CP1, the start of the 1-One Trail and critically where the bike and foot paths not only intersect, but at times run parallel to one another. Foot path to the left, bike path to the right, though not always. Heed the signs and be sure to stick to the correct path to avoid colliding with a speeding cyclist. Eagle Trail is just a stone’s throw from CP1 and connects two different sections of the 1-One Trail. Just after this intersection we find ourselves back on familiar ground. The end of the road. Time for a shower and lunch! Time Between 2 to 3 hours on this series of trails. Rating KL Hiking rates Bukit Beruang as Moderate, which is fair, because it sure wasn’t easy. Facilities None. The closest petrol station is a BHP at the intersection of Jalan Musaffar Shah and Lebuh Ayer Keroh. Getting there A boom gate is located at the end of Jalan MH10 in Taman Muzaffar Height just after Surau Al-Wahdah. This marks the entrance to both mountain bike and hiking trails at the entrance to the 1-One Trail. Matang Mangrove Forest Eco-Education Centre near Taiping will be closed from 1 January 2019 until 31 December 2019 owing to an ecotourism development project. 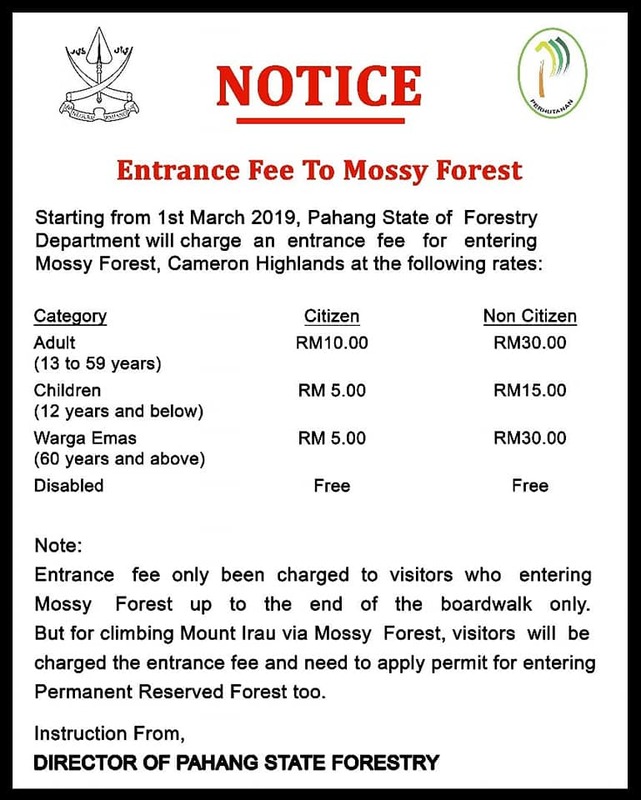 As of 1 March 2019, visitors to Cameron Highland‘s Mossy Forest and Gunung Irau will need to pay for access to the boardwalk. With the adrenaline coursing through my veins at the very memory of breathtaking Taroko Gorge, I caught up with Ticket To Ride anchor Azura Rahman. Ticket To Ride is a new travel show brought to you by BFM Radio. 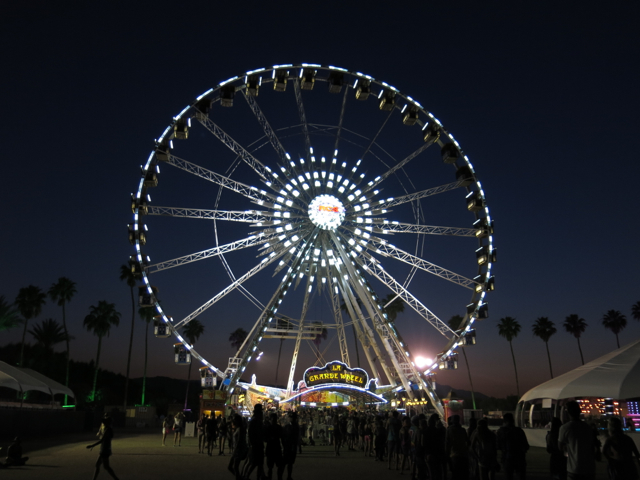 I was invited on air by Adeline Choong to share my Coachella experiences.